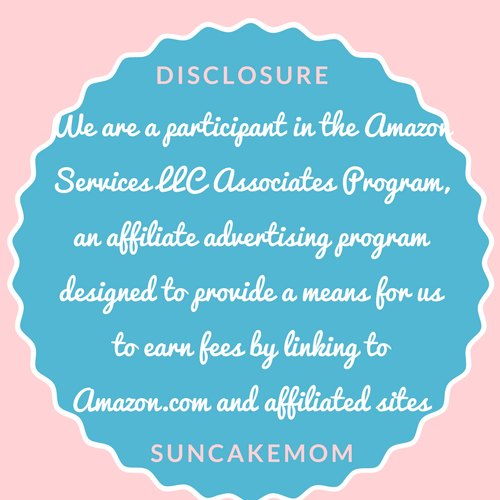 Tested on children and approved by teachers in the SunCakeMom Summer Baking Camp. Easy to prepare sugar free recipe not only for the faint of heart. Whip it up in 5 minutes and enjoy them for the rest of the day! 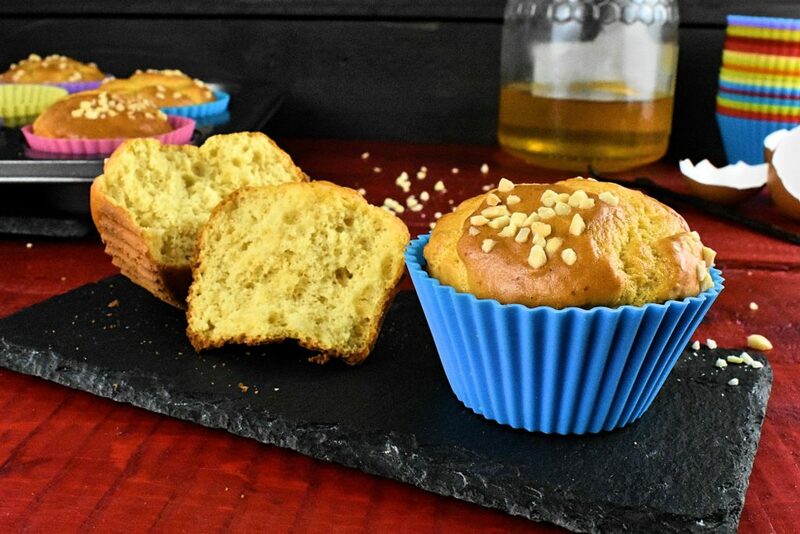 This recipe dwells 24 muffins. Preheat the oven 180°C / 356°F. Mix baking powder into the flour. Break the eggs one by one. Separate egg yolks from whites. Put yolks in one mixing bowl and whites into the other one. Mix vanilla extract yolk and honey. Beat egg yolks until there is a light yellow mixture. Carefully fold in the flour with the egg yolks. 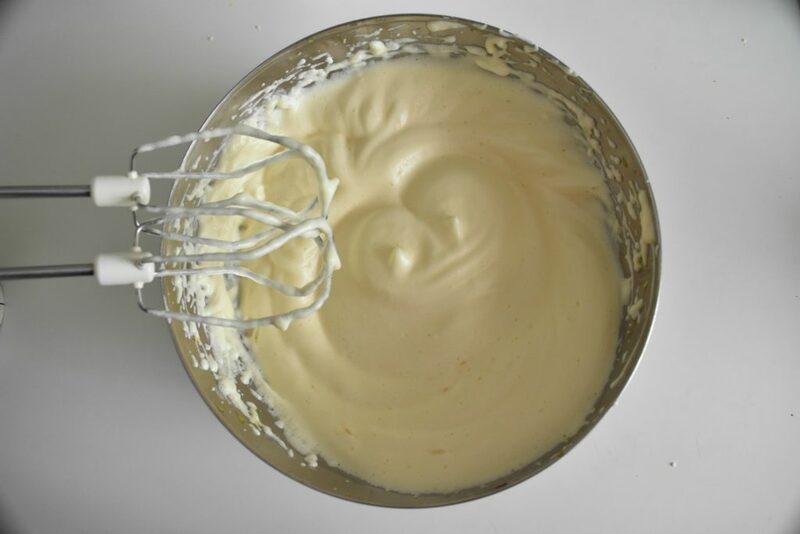 If the batter is too hard to stir, put the water in alternating between the flour and the water. 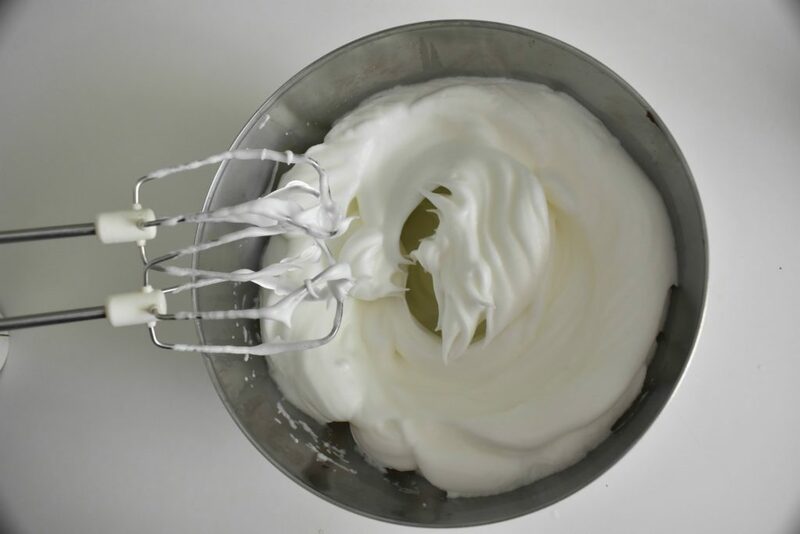 When there is an even mixture fold in egg whites as well. Try not to break the whites. It will give us the airy consistency after baking. 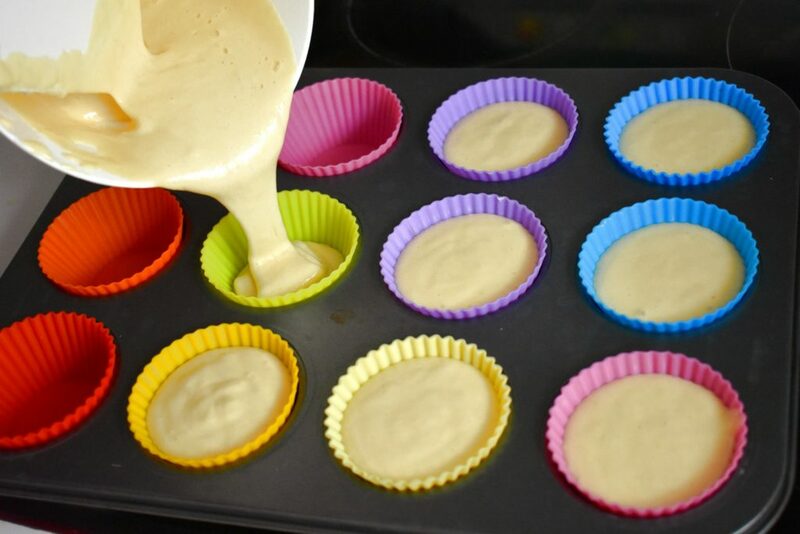 Fill pastry into the muffin holders. 2 or 3 spoonfuls into one holder. 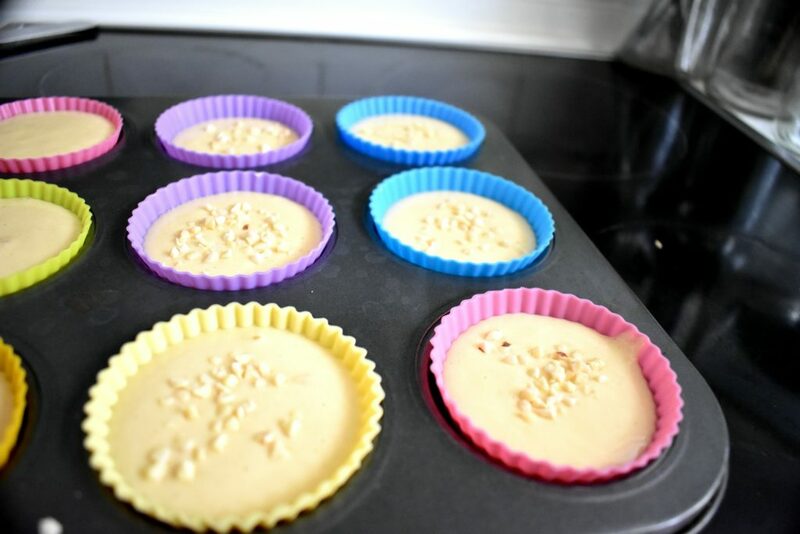 Decorate them with almonds . 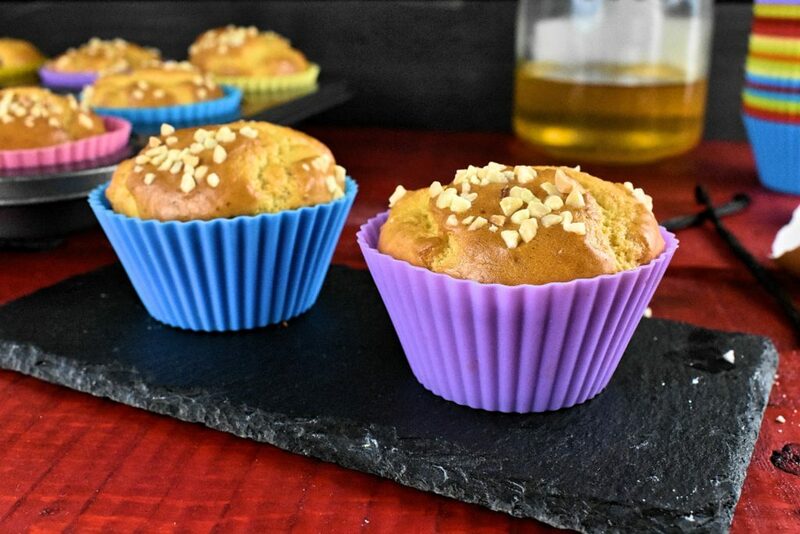 Pop the muffin tray into the preheated oven for 15-20 minutes. When we have an even mixture fold in egg whites as well.